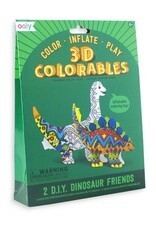 Bring the monstrous creatures of the past back to colorful life with this Dinosaur Friends 3D Colorables set. 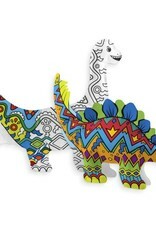 3D Colorables are the fun, do it yourself, coloring toy set where you color, inflate and play. 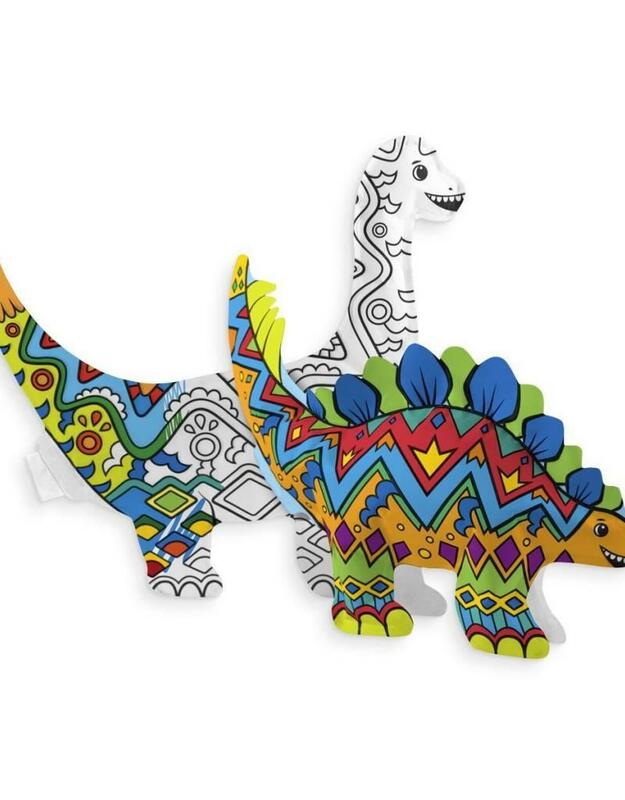 Enjoy coloring in fun designs on a brontosaurus and a stegosaurus with coloring supplies like colored pencils, markers or crayons. 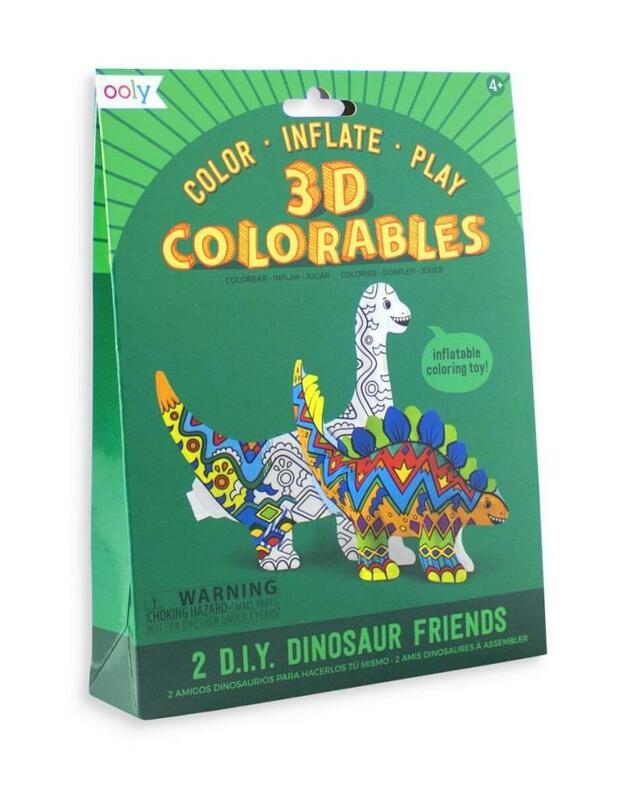 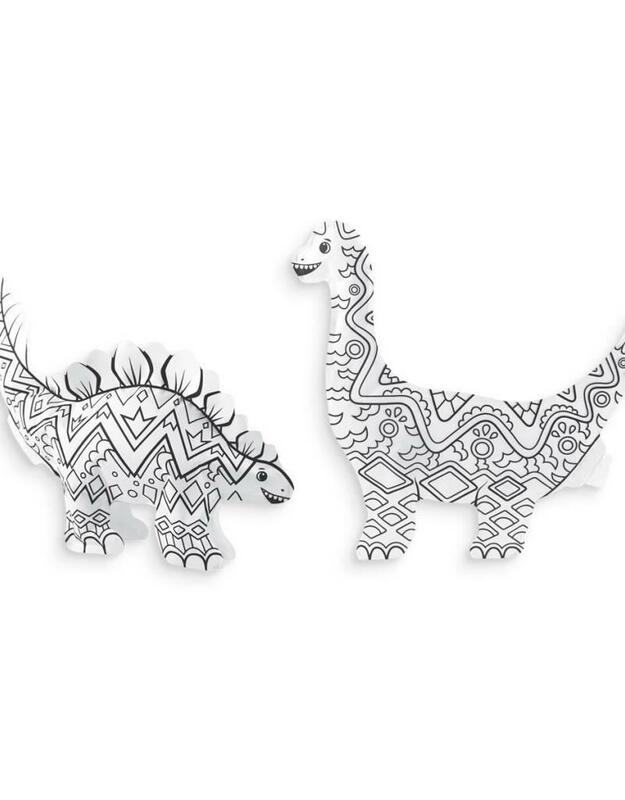 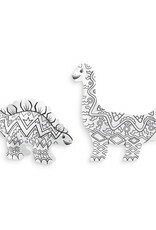 Then inflate your dinosaur colorable with the included stray to breathe new life into these prehistoric creatures.